At ConfiDenT, we proudly offer a valued solution for patients who grind or clench their teeth during the night. We can protect your comfort as well as your smile health with a custom-fabricated night guard. When it comes to helping patients find relief from teeth grinding and clenching, we proudly offer the most preferred occlusal guards in modern dentistry. An occlusal guard or bite guard is designed to effectively shield your teeth while you sleep and prevent the damage that bruxism can cause. At ConfiDenT, we know your quality of sleep is important. Therefore, you can trust that we only use durable materials that are designed for optimal fit and comfort. For most patients, a night guard is a minor investment that saves them from costly restorative treatments down the road. 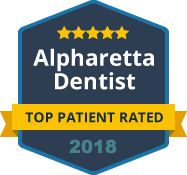 Our Alpharetta office also provides special oral appliances that treat sleep apnea, snoring and TMJ disorders as well. Have you been told that you grind your teeth while you sleep? Our dentists are trained to detect and diagnose signs of bruxism and help protect your smile overnight. 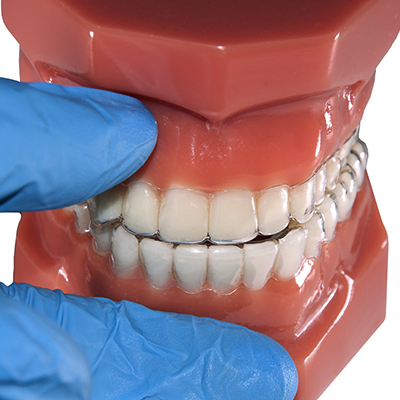 Contact ConfiDenT today to schedule your consultation for a custom-fit night guard in Alpharetta.